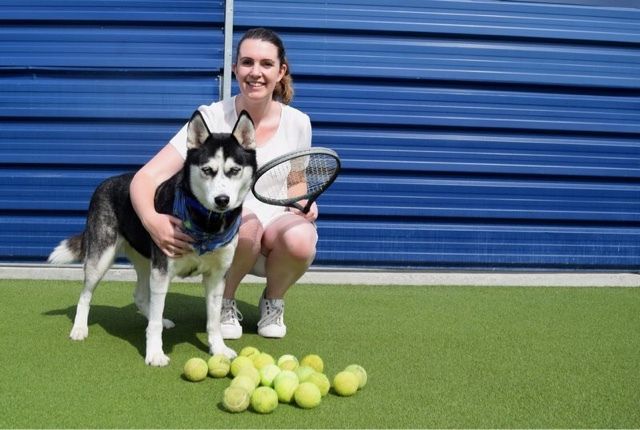 Wimbledon fever has overtaken Battersea Dogs & Cats Home with Konta, a homeless Siberian Husky predicting her namesake will storm to victory, and win the Wimbledon women’s singles title this weekend. Konta, named after Britain’s upcoming queen of tennis Johanna Konta, is one of several rescue dogs at the world-famous shelter who have been named in honour of the competition’s top seeds. 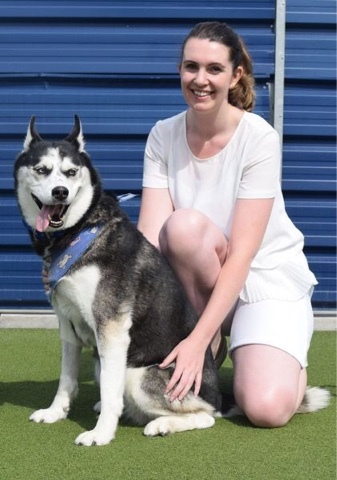 Tennis fans across the country will be hoping the eight-year-old Husky’s prediction will be correct, as her namesake is now Britain’s only hope of a Wimbledon singles victory – after Andy Murray was knocked out by America’s Sam Querrey yesterday. With the finals just around the corner, Konta and her fellow Battersea dogs - named after the qualifying players - visited Battersea Park’s tennis courts to try out their skills as ball dogs. Predictably, chaos ensued, and video evidence shows that it’s a safe bet that none of them will be taking over as Wimbledon ball boys and girls any time soon. But, while they may not be professionals, these dogs are hoping their on-court antics will help them to find a different kind of match – with a new owner. She’s named after the player that everyone is talking about – Britain’s Johanna Konta. This eight-year-old Husky is predicting a victory for her namesake and she’s hoping to channel Johanna’s spirit to beat the competition and find the perfect owner. Konta’s a beautiful girl with a winning personality, but she doesn’t seem to have much potential as a ball girl. Instead, this fluffy lady is looking for a loving home where she can watch the tennis from a comfy sofa. Roger the Greyhound has recently retired from racing and is now focusing his energies on becoming Battersea’s number one ball-boy. 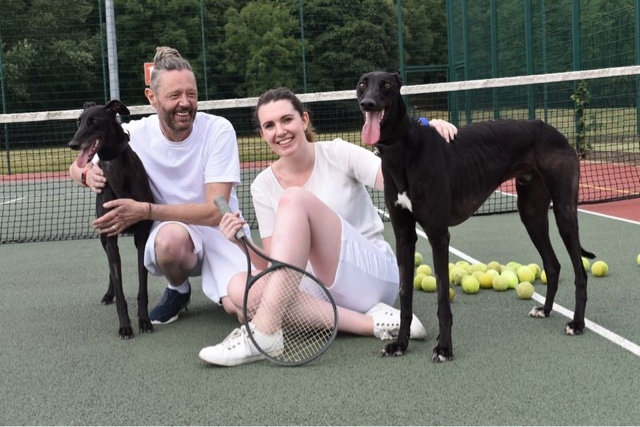 The gorgeous two-year-old Greyhound, named after Roger Federer, is already a number-one in the eyes of Battersea’s staff. But he’s setting his eyes on another grand-slam title – to win the hearts of his owner. If you think you could give him a home, he’ll be waiting for you on centre court. This four-year-old Greyhound shows great potential as a ball girl and loves getting out on the tennis court. A sporty lady, like her namesake Venus Williams, she is hoping to score the greatest shot of all this summer by finding a loving new home. Although Venus does have a competitive streak, she can also be a great team player and could be rehomed with her fellow tennis mate Roger. 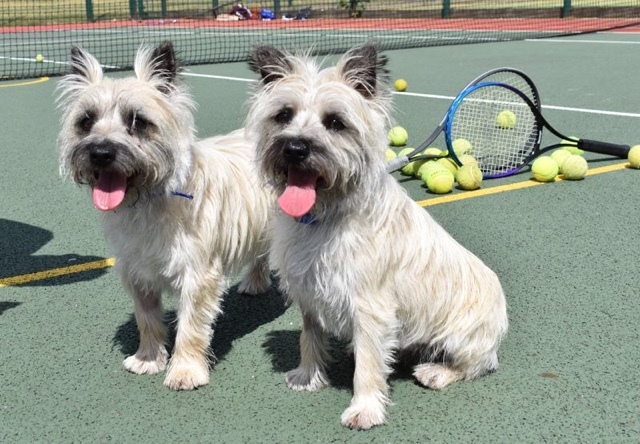 Named after the mixed doubles champions, Martina Hingis and Jamie Murray, these tenacious Terriers adore tennis balls and love to have a rally between themselves. They’re the perfect mixed double and this lovable duo are looking for a home together. They’re both hoping to channel their namesakes, and find new owners who will see them as the world champions they were born to be. 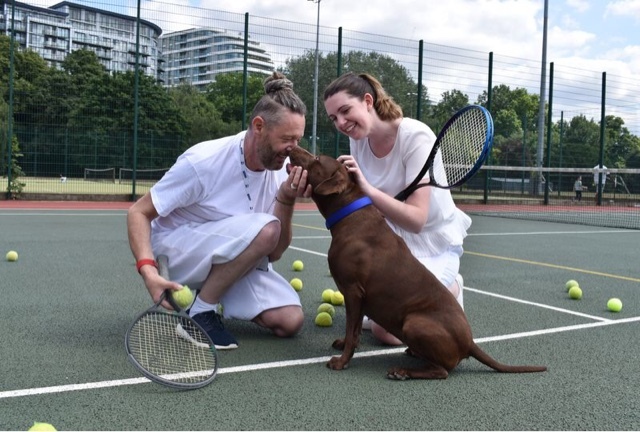 Her namesake Coco Vandeweghe may have been knocked out of the competition, but this eight-year-old Staffie loves tennis balls so much - Battersea staff decided to make an exception and let her take to the court with her fellow doggy qualifiers. Staffie Coco is hoping she will have more luck than her namesake and is crossing her paws that she will soon qualify as top dog in the eyes of a new owners. She’d love to be rehomed with a keen tennis player. The Battersea match was played between staff member Bryleigh Kingston-Rogers and Volunteer Graeme Smith. Battersea Dogs & Cats Home has been able to grow its volunteer programme and recruit more volunteers like Graeme thanks to the support of players of People’s Postcode Lottery, who kindly donated £200,000 in 2016. If you would like to rehome any of Wimbledon’s champion ball boys or girls please visit www.battersea.org.uk.